Yep, evidence of other universeS, that’s plural. How is this not the most amazing, mind blowing, earth shattering news? These are the moments when I wish I had gone to school to become an astrophysicist so I could actually understand the details. 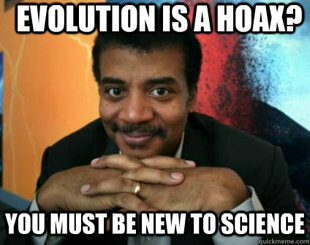 Also, in related news, I love Neil deGrasse Tyson. Here he is talking about the “most astounding fact about the universe.” This makes me feel full of joy. I’ve realized my blog is fairly impersonal, and figured that the most personal thing I could discuss is why I’m writing these days. Because, although I have always loved writing and have always spent some of my free time writing (yes I have 3 half finished novels on various hard drives), it was never a serious personal goal of mine. Until recently, of course. Instead, I spent twelve years working toward a career as an academic. I love anthropology, love history, love the way the human mind works. My Ph.D. allowed me to combine the study of these things that I love. I traveled the world. Got to live in places that few Americans even know exist. There were some detours along the way (ehem, law school, professional dog walking, video game writing, etc) but my real career goal was to become a professor at a small liberal arts university. And I did! After a few years foundering (during which time I meet Rockin Hubby so yay for foundering), I got my dream job as a tenure track professor at a school that I love (Go St. Eds!). I loved my department, had the most roxor dean in the world (thank you Dean Hopper) and loved every single one of my amazing colleagues. Even better, I got to teach my dream classes about human rights, social justice, international conflict resolution, and best of all, the history of globalization. But there were issues. Rockin Hubby and I were having terrible allergies in Austin. And then we had our son, Danger Monkey. This isn’t a post about juggling motherhood and career (I could write a book) but I will say that I was not achieving work/life balance. Our little Danger Monkey had fairly serious medical issues and we were not able to effectively eat, sleep, take care of ourselves, and work full time. Then Rockin Hubby got a great job offer in the Bay area. Life crisis ensued! I loved my job, but Danger Monkey was getting older and still needed extra help. If we moved, we could live comfortably on RH’s salary alone. The Bay area suited us and our chosen way of being in the world (especially me being a lefty-nerd/hippy hybrid). All I had to do was quit my beloved job. We moved away from family, my job, and our friends, back to the bay area. This is home for Rockin Hubby, and we have a wonderful circle of friends here. We love the weather. The parks. The resources. The people. That said, transitioning to stay at home mom-hood was hard for me. While I enjoy the company of Danger Monkey, the sudden lack of adult conversation and mental stimulation, plus some identity issues of my own making, made me feel isolated. Suddenly, rather then being constantly immersed in heated debate and social justice activism, mentoring amazing students and working to create a place of learning, I spent my days with a three year old. All of a sudden I didn’t have anything to talk about other than poop and playdates. Over time, things with Danger Monkey have gotten better! His medical issues are resolving (thank you universe and Lords of Science). His language is improving (thank you therapists!). Over the last year, I occasionally found myself having a few moments to do whatever I wanted. In those moments I rediscovered writing. Writing gave me something totally my own. Writing gave me something to think about, something to do in those rare stolen moments when I’m not driving to the park, playing with finger paint, or running after our preternaturally coordinated toddler. 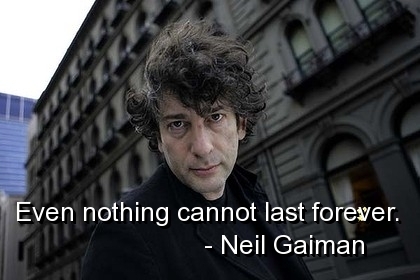 Writing has saved my sanity. Of course I began writing just for fun, something to fill the space in my over-active mind. Then I started a book. And got really far into it before realizing I had some work to do. I think my writing is good enough, but am just shite at story telling and character development. So, about a year ago, I shifted to short stories to work on my writing. I’ve been trying to write at least one short story a month (most months I actually manage two) and it turns out all those things people say about writing are true. As I’m writing I’ve been submitting my work to various magazines. At first I got nothing but form rejections. Then I spent the last few months trying to write a story in each of my favorite genres. I’ve been submitting those, and lo-and-behold, now I’m getting mostly personal rejections. I am actually getting better with practice! I don’t know if I will ever sell a short story (of course I hope I do), but I am really proud of what I’ve achieved. I’m proud of the decisions we have made as a family. I’m proud of Rockin Hubby for being an amazingly supportive partner and father. I’m proud of the hard work I’ve put into writing and that I am getting better at it. Finally, it turns out that I LOVE writing. Love it just as much as anthropology. Which is really saying something. In light of the new-fangled interest in dystopian fiction, I am constantly reminded of We, another Russian book I read while at New College (yeah, I thought I would be a Russian lit major for a little while, until I realized I would have to actually speak Russian….). Yevgeny Zamyatin was a Bolshevik fairly frightened by some of the policies enacted by his own party after the revolution. He wrote We in 1923, envisioning a panopticon-like government that could watch your every move. People were assigned numbers rather than names, and every aspect of life was regulated. The book is told through diary entries of the fairly wishy-washy, engineer “hero” D-503 as he falls in love with a woman struggling to get pregnant and bring down the evil One State (ug that the female protagonist’s main goal is to get pregnant). 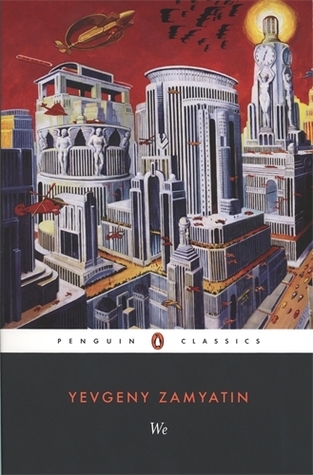 Though the writing isn’t the best, I actually enjoyed We much more than 1984 or Brave New World, both clearly influenced by Zamyatin’s vision of an over-regulated future. If you want to read some good old fashioned dystopian nightmare, this is a great place to start.